In this world of social media, coupon websites, search engine optimization, and internet ads, it’s easy to see why most businesses seem to have forgotten one of the world’s most effective (and low-tech) advertising methods – the traditional store sign. Since time immemorial, signage is used by businesses and shopkeepers to promote their wares and services to the public. And up to the present day, it’s still a very effective way to capture people’s attention. Studies have shown that businesses have three seconds to catch the eye of a passing customer and hold his or her attention long enough for them to be enticed into the shop. That precious three seconds is the perfect time for a business to make a good first impression to potential customers. And what better way to do this than with an interesting sign? 1. Great Sign = Great Quality. A great sign never scrimps on quality. If a sign uses images, then those images must be high-resolution and should be edited and printed well. Businesses should always aim to look professional. Their public image is at stake here and a tacky sign will not help them in the long run. It’s best to let an artist or an experienced professional do the design and visuals, rather than someone with no experience in Adobe Photoshop, InDesign or any other editing and publishing software. 2. Signs Should Be Informative. An excellent sign is one that is able to say the most in the least amount of words. A sign should give customers and passers-by a general idea of what a business is all about, the products that a store is selling, shop location and other important information that they might want to know about. But always make sure that a sign is easy to read. Don’t try too put too many words or images into a small space – these will confuse customers and make a sign look like an eyesore. A simple catchphrase and a few images would be enough to get your message across. Also be direct, to the point and make your message clear and simple. 3. Signs Should Be Seen. A sign’s effectiveness is largely dependent on its visibility. A sign that cannot be seen is a worthless sign. Make sure that your signs are placed in areas where people can easily notice and read them. Just make sure that the signs do not block pedestrian traffic, walkways and other important areas of your store. Other factors that influence sign visibility include color scheme, lighting (signs should be placed in well-lit areas), size of the sign, graphics, and the geographical location of the sign. Signage is a very cost-effective advertising method, if done correctly. When creating a sign for your store, be sure to remember the tips mentioned above. Scott Quinlan is a storefront design consultant. He enjoys blogging about his experiences and insights on business blogs. 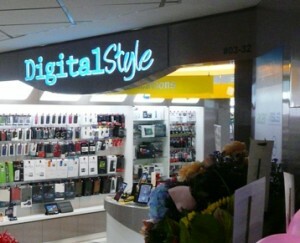 Visit ImpactSigns.com for ideas about your storefront.